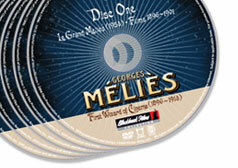 I’m a collector of memoirs (published and unpublished) of the film-going experience in the early years of cinema. 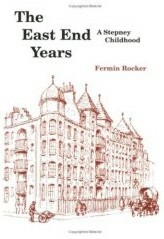 One particular favourite from my work on London before the First World War is the memoirs of Fermin Rocker, The East End Years: A Stepney Childhood. I just came across a copy in Foyles today, and thought it worth sharing with you. … My partiality for the redskin was to have some unhappy consequences when I received my first exposure to the cinema. The Westerns, which featured rather prominently in the repertory of those days, invariably had the Indians getting the worst of it in their encounters with the white man, a headlong rout of the redskins being the usual outcome. I found it quite impossible to look on calmly while my friends were being massacred on the screen. Not being nearly so stoical as my Indian idols, I would raise a tremendous commotion and have to be taken out of the theatre to prevent things from getting completely out of hand. After a few experiences of this kind, it was decided not to take me to the “pictures” any more, a resolution I did not in the least regret. Not every child liked going to the cinema in those days. Rocker much preferred Punch and Judy shows (“I sometimes wonder if the creator of the Punch scenarios was not an anarchist in disguise. His hero was forever running afoul of the law…”). He went on to become a noted artist and book illustrator, examples of which you can see find at www.ferminrocker.com.